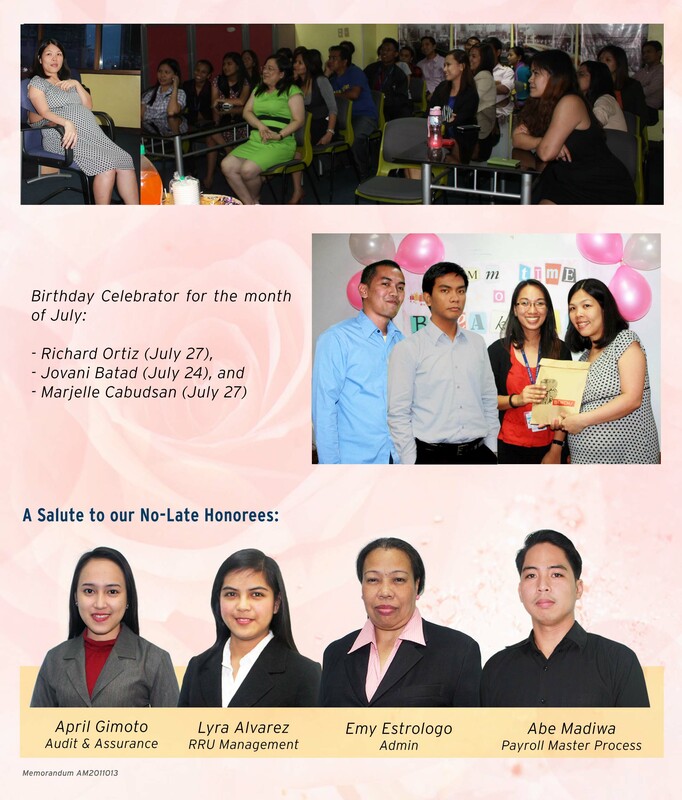 JULY 2, 2014 - Break Time for month of July highlights qualifiers from Attendance Incentive Award, Birthday Celebrators and soon to be mother Ms. Jenny Cabello – Catapang. Themed as “JAMM Time on Break Time”, Ms. Jen shares the gift of happiness her baby brings and the power of faith and consistent prayer as manifested in her journey to motherhood. Alas Oplas continues in prayers for her safe delivery. Congratulations!